Toni Solheid never stopped hoping the man who shot and killed her daughter would see his day in court. And now, more than six years later, he is. "For as much as I was never going to quit fighting, I wondered if it would ever happen in my lifetime," she said. 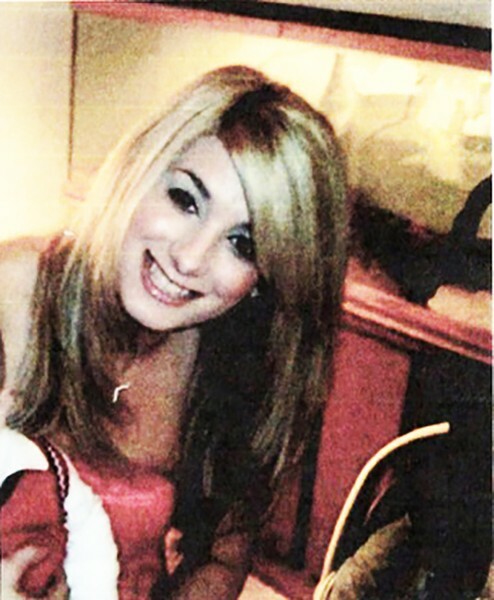 In 2012, the Tucson Police Department booked Ronald Corbin Jr. on one count of manslaughter after he shot and killed Solheid's daughter, 27-year-old Genna Ayup. But the Pima County Attorney's Office declined to indict him. When Ayup was killed, she and Corbin lived together with their 3-year-old son. Corbin told police the shooting was an accident, that he had been putting a new grip on his gun and it went off. When police arrived that night, the packaging for the new grip was on an ottoman in the living room, next to the gun, a barely touched plate of food, a fresh beer and a pile of their child's toys. Neighbors later told police they heard screaming coming from the house; some said a male and female yelling at each other. Police saw no signs of struggle and concluded the screaming must have happened after the shooting. Last week Corbin was indicted on one count of manslaughter for recklessly causing Ayup's death. He has pleaded not guilty to the charges. Corbin's lawyer Laura Udall didn't respond to request for comment on the case. Until the trial is over, the County Attorney's Office can't address why they declined to try the case in 2012 or why they're indicting Corbin now. But old case records suggest a reason. A detective in the case wrote that she had TPD's armorer review the scenario about how the gun could have accidentally fired. "He not only advised me the scenario was possible, and that he was familiar with people, even officers making the same mistake, he actually demonstrated the scenario to me," she wrote. The report goes on to say Chief Deputy County Attorney Kellie Johnson said she was declining to file criminal charges against Corbin due to accidental circumstances. An April 2018 TPD Crime Laboratory report for the case says the gun was test fired and "found to function as designed without any malfunctions" and that installation of the grip would not cause it to accidentally fire. Furthermore, the report says the gun's trigger has two parts that both have to be pulled with a weight of about seven-and-a-half-pounds of force to fire the gun. Solheid never believed the shooting was an accident, and about a year-and-a-half ago she took her story to Tucson City Councilmember Steve Kozachik, who began pushing for the case to be re-opened. "Even if you agree with what [Corbin] says, it's irresponsible to go out drinking for three hours, come home with two other people in the room and try and change the grip on your gun and accidentally kill somebody," he said. "That can't be our standard for responsible gun ownership." Kozachik hired private investigator Weaver J. Barkman, a retired Pima County Sheriff's Department sergeant with extensive experience in felony investigations. In November 2017, Barkman met with Kozachik, Solheid and her husband Earl. Barkman agreed to evaluate the investigation, warning them his findings may not support their belief that Ayup was murdered. Two months later, he presented his assessment to TPD Police Chief Chris Magnus. "The totality of the evidence provided establishes that Ronald James Corbin intentionally shot and killed Genna Louise Ayup...during a domestic violence episode," he wrote as his conclusion. "Mr. Corbin's claim(s) that his Glock semi-automatic pistol 'accidentally' discharged while in his 'lap' as he was 'changing' or 'attempting to change the grips' is conclusively disproven. An accidental discharge by that weapon was and is objectively impossible." According to police reports, Corbin got off work at Tucson Electric Power at 2:30 p.m. June 26, 2012, and headed to O'Malley's Bar and Grill. Over the next three hours, he ordered three 23-ounce Dos Equis and a vodka drink. Reviewing Corbin and Ayup's texts from that night, police concluded that she frequently texted him, asking him when he was coming home and if they could hang out together, and his replies were short and cold. Just before 6 p.m., Corbin got on his motorcycle and headed the 10 miles home. At home, he put his backpack and TEP work shirt in on the kitchen counter. He changed out of his work clothes and sat in front of the TV with a beer and plate of food and, according to Corbin, began to change the grip on his Glock 27 semi-automatic pistol. By 6:30, he called 911 and said his girlfriend had been shot. When police arrived, Ayup was on the floor in the front entryway of the house, a large pool of blood under her head. Corbin was distraught. The police report says his demeanor was "an appropriate reaction to an accident." He was crying and vomited twice. He told police it was an accident but that he wouldn't say any more until he spoke with an attorney. Police found a chunk of Ayup's hair on the ground near her feet, by her discarded shoes and a broken wine glass. She had a bruise on the side of her face. On an ottoman in the living room was the gun, grip fully installed, and the grip's packaging. While they handcuffed Corbin outside, one of the officers brought over a basket of toys for his little son. "Daddy get the gun and shoot mommy," the boy told the police. "I think he did. Daddy's a bad boy." The police report says the child told police his father hit his mother. Police wrote they believed the child was referring to the incident, that he was very verbal for his age and his details were consistent with evidence at the scene. Corbin was released on his own recognizance that night. Barkman's report draws attention to the neat placement of the gun, grip packaging and other key items on the ottoman. Corbin told police he ejected the live round and set it next to him on the couch right before he began installing the grip. Police photos show a live round on the ottoman, under the empty holster and gun. Barkman points out that Corbin would have had to take the holster off the gun before ejecting the live round. This means the round wouldn't likely be underneath the holster even if Corbin had set it on the ottoman rather than on the couch like he stated. Barkman's report also states that Corbin has "a history of attempting to avoid criminal responsibility by staging and misdirection." About six months before Ayup's shooting, Corbin's car was involved in a hit-and-run collision. Corbin told police three men who then stole his car had assaulted him leaving the bar. When police interviewed people in regards to Ayup's shooting, several of them, including Ayup's close friend, her cousin and Corbin's cousin, all said Corbin had told them he had crashed his car while drunk, filed a false report and made an insurance claim. In both cases, Barkman writes that Corbin "provided no meaningful details about the facts and circumstances surrounding the events," and when asked to do so, Corbin asked to speak with an attorney. Corbin was a gun enthusiast, so he should have been familiar with gun safety. A number of people interviewed with the case, including Ayup's family members and Corbin's drinking buddy from work, told police Corbin had a gun collection and went out shooting on a regular basis. Corbin's cousin told police that due to Corbin's knowledge of guns, he found it hard to believe he shot Ayup on accident, according to the police report. Ayup's close friend told police that Corbin had called her almost two weeks after the incident. He told her Ayup had been watching their son playing with a hose in the yard when the gun accidentally went off. Ayup's cousin told police the same story, adding that Corbin said his son was playing in the mud. Police photos show there is no water or mud on the ground outside the house. The hose is neatly wound. In Barkman's 16-page report, he writes that the bruise on Ayup's right cheek, shown in police photos, may have come from a fist. He also writes that the clump of hair found near her body appears to have intact roots, suggesting it was yanked from her scalp. Also, the drywall by the front door is damaged, which he says is consistent with Corbin slamming Ayup against the door, causing the knob to smash into the wall. Barkman concluded that it's likely that Corbin assaulted Ayup before shooting her. In his report to TPD, he writes that the likely assault led to her dropping the wine glass she was holding and losing her sandals. People in Ayup's life—her close friend, her cousin and mother—told police that Corbin was emotionally and verbally abusive toward her, that he went out drinking every day, didn't help her much with their child and that Ayup was concerned he was doing cocaine. None of them were aware of any physical abuse. Corbin's cousin told police Corbin was an angry person, had a drinking problem, drank and drove frequently and had been doing cocaine. Last week, during Corbin's arraignment, a judge ordered that he's prohibited from drinking alcohol or possessing firearms. According to Solheid, Ayup and Corbin's child lived between both sets of grandparents, half-time each, for three years following the incident, but now he lives with his father full-time and Solheid only sees him for monthly visits. A few weeks before Corbin's arraignment, Solheid told the Tucson Weekly she would be elated to see Corbin indicted. "I want him to be charged and convicted and I want him to go to prison," she said. "I want justice for my daughter. And I want, for the first time in his life, for him to realize that there are consequences in life, because in 25 years, never once did he ever have consequences for all the things he did."